Belize NMS: Relatively moist conditions linger over the area. 24-hour forecast: Cloudy with sunny periods today and cloudy at times tonight. A few showers will occur, but especially along the coast and over the south. Today: Winds: N/NE 5-15 kts ; seas: Choppy ; waves: 2-4 ft ; a few morning showers. Tomorrow: Winds: N/NE 5-15 kts ; seas: Light chop - choppy ; waves: 1-3 ft ; a few morning showers. Marine Outlook: (Thursday night): Winds: N/NE 5-15kt. ; seas:Choppy; waves:2-4ft. ; a few showers. General Outlook: Through to Friday morning: Cloudy skies with a few showers and isolated thunderstorms. 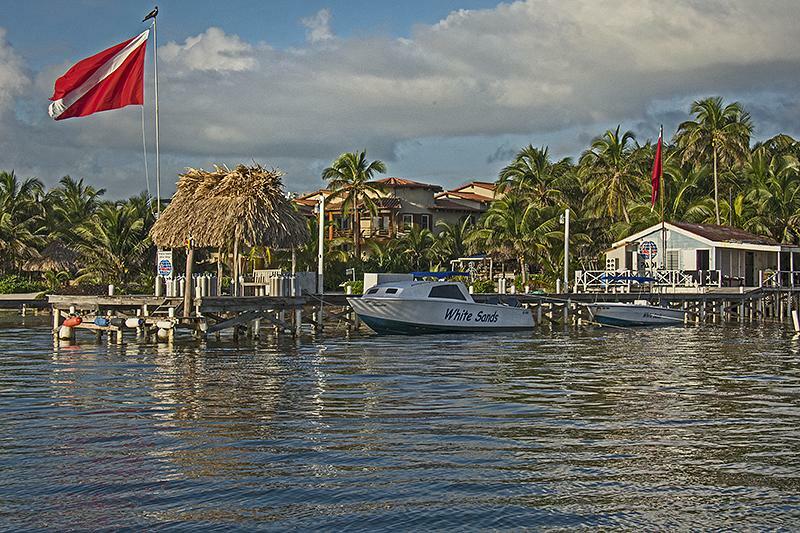 Clear sky, calm sea and 81 degrees on Ambergris Caye this morning. Ready to go! We still have mainly this overcast blanket of cloud, probably over much of Belize. . . ..it is thining and clouds moving across from the ENE. . . . .The cloud is thinning and some blue sky starting to appear, so there should be increasing sunshine later.....I don't feel there will be much rain, at least during the day.